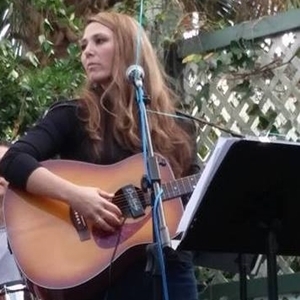 Jennifer Burns is a singer/songwriter from Fernandina Beach, Florida who began vocal lessons when she was 11 years old. Afterwards, this young girl joined every choir and singing group she could. And now, as a young adult, all of that music is etched on her soul. A gifted conversationalist, Jennifer knows how to read the crowd, and when you combine that with her girlish charm, this makes her a natural performer. Listeners appreciate the musical journey when Jennifer sings. It could be an old Chuck Berry tune, Leonard Cohen’s classic Hallelujah, or a current top 40 hit, one thing is sure – you will enjoy the ride! 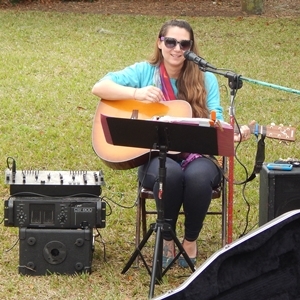 An advocate to the underdog, it is not uncommon to find Jennifer donating her talent to help a variety of non-profit organizations such as Relay For Life, or a organized benefit for a unfortunate neighbor. If you have the opportunity to catch her on stage you won’t be disappointed in her soulful, sometimes gritty sound, and her natural ability to empower the audience!